Vermont cheese. What’s not to love. From Sugarbush Farms’ long-aged cheddars, to Vermont Creamery’s Bonne Bouche aged, ash-ripened goat cheese, to Jasper Hill’s Harbison soft bloomy rind and Bayley Hazen Blue cheeses. We discovered many Vermont cheeses from our many trips to Vermont, from restaurant cheese plates, and from friends. 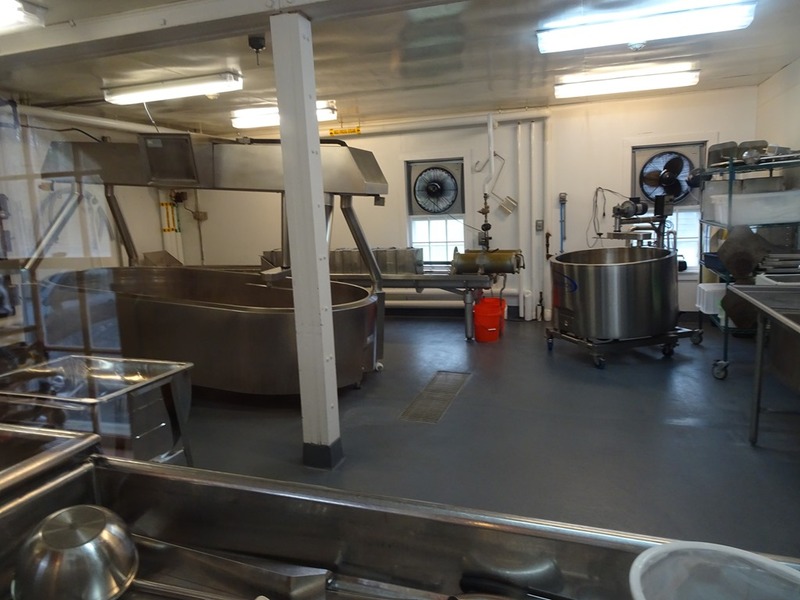 This blog explores some of Vermont’s roughly 100, cheese-producing creameries—at least those that are open to the public. Unfortunately, Vermont Creamery and Jasper Hill were not open. Oh well. 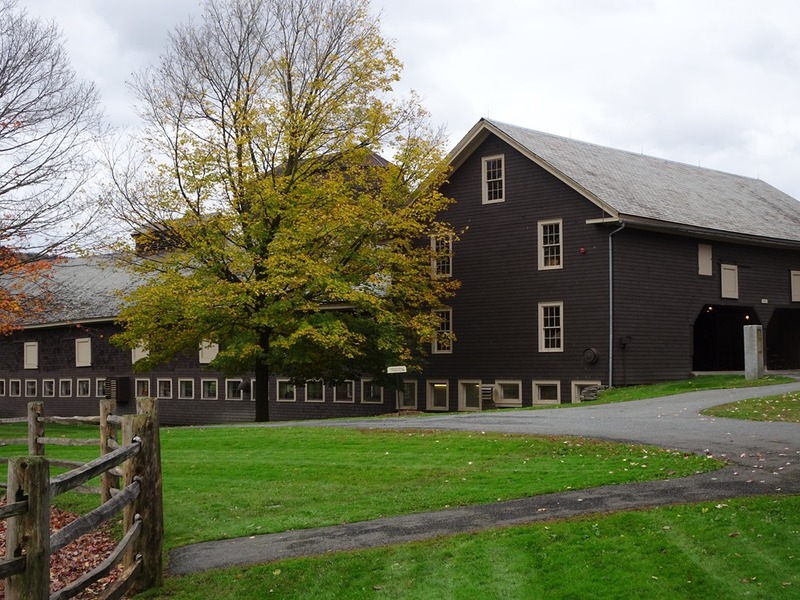 Shelburne Farms Cheeses (Shelburne Vermont). Although we weren’t especially impressed with its cheeses, we did like some of the jams (especially raspberry, blueberry and blackberries) and mustards (including its honey and tangy maple). Daikon Farms (Ferrisburgh Vermont). 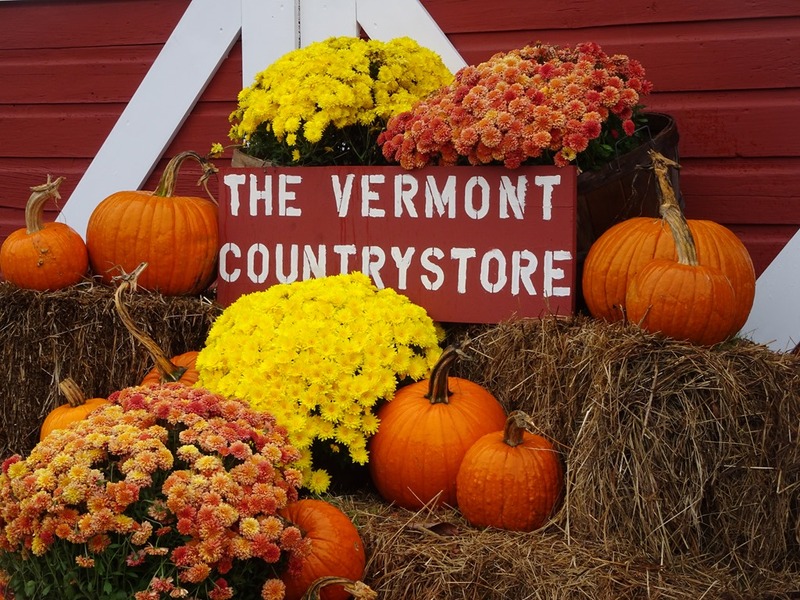 This farm store sells and offers tastings of its own, as well as some third-party Vermont products (including Shelburne Winery wines and Cabot cheeses). 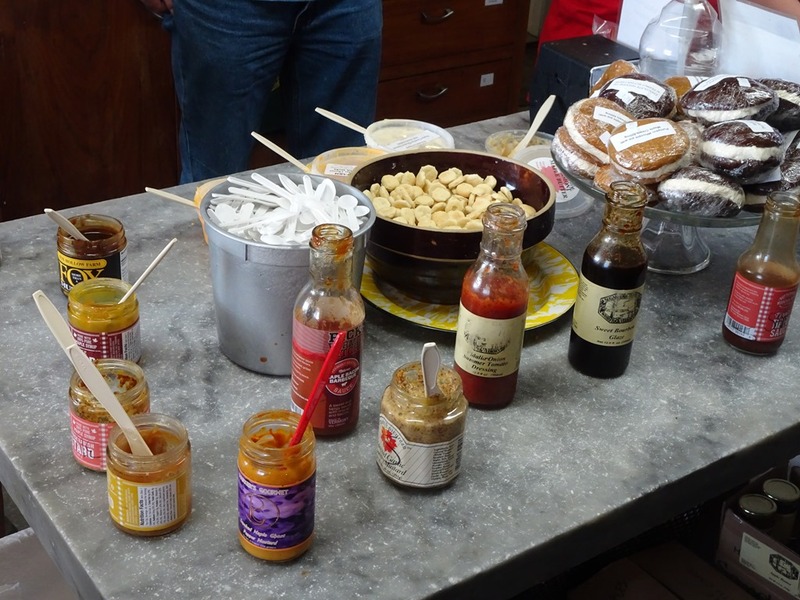 Its cheeses did not excite us (variously aged cheddars and a baby swiss), but we did enjoy some of their jams (especially blueberry), pumpkin butter, mustards (zesty maple) and black bean salsa, not to speak of its maple popcorn. 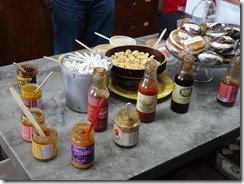 Their jalapeno and horseradish jellies or its chutneys were not our tastes however. It also offered a number of other products (most interestingly, sausages) for sale, although not for taste. Cabot Cheese (Quechee Vermont). Cabot has tasting rooms in other towns, but this one is very convenient as we always stop in Quechee when we are in Vermont. It offers tastes of more than a dozen cheeses, most of which are some version of cheddar. Many of its cheeses were not aged or sharp enough for our tastes. 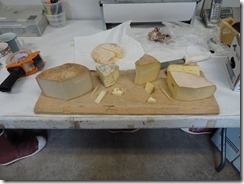 But we did enjoy the vintage, private stock and especially the Adirondack (a recent find for us) cheeses. 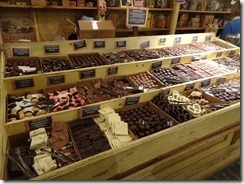 Sugarbush Farms (Woodstock Vermont). Sugarbush Farm is our perpetual preferred choice for cheddar: primarily because it is one of the few creameries from which we can get long-aged—especially 72 and 96 month—cheeses. We enjoy it, however, not just for its cheese, but also for its syrup, especially the Dark and Very Dark (under the state’s new, less confusing syrup grading system) and its wide, and interesting selections of jellies, jams, mustards and all types of miscellaneous treats that are spread out on the kitchen table of the old farmhouse. We are partial to the raspberry-smoked maple, blueberry-bourbon and rhubarb-raspberry jellies, its extra-fruited raspberry jam, apple butter, maple butter, honey-maple butter, lemon curd, honey-mustard butter and its maple-bacon dip. But don’t skip the sausages—the summer sausage, pepperoni and especially the buffalo sausage. Sugarbush does not make all these foods themselves, but they select well from among their private-label suppliers. And should you or your children tire of, or just need a break from all that tasting, you can take self-guided walks through their maple orchard and sugar house (with signs explaining the tree-tapping and boiling processes) or explore their small farm animal petting zoo. 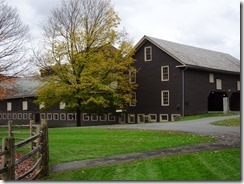 Billings Farm (Woodstock Vermont). Although we know the history of and have explored the historic dairy farm on previous visits, we did not know that the farm made cheese. They were tasting only three. The Reserve Cheddar was pretty standard and undistinguished. While their sweet cheddar and a butter cheddar were pretty unusual, they were not our taste. Vermont Farmstead (Windsor Vermont). We enjoyed their brie-like Lille’ Be’he’ and Governor’s Cheddar as well as the hickory-smoked pepperoni. Plymouth Artisan Cheese (Plymouth, Vermont), where its 24-month Cheddar was beginning to develop a nice tang. Unfortunately, we were not able to try its brie of blue cheeses. 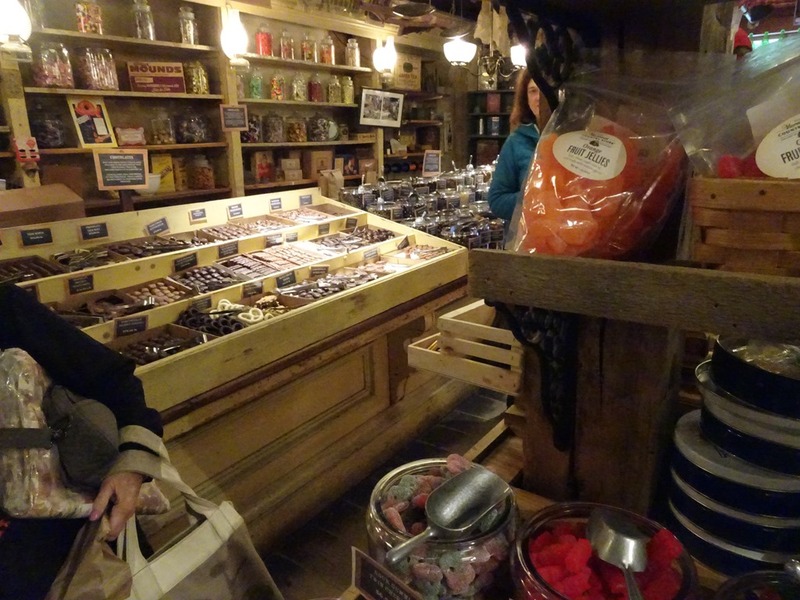 Vermont General Store (Weston Vermont) is a huge store that sells everything from flannel nightshirts to bins of old-fashioned corner store candies (such as rock sugar candy and swizzle sticks sold by the pound). It also offers samples of all types of foods, including mustards, dips, dessert wafers, Charles Chips (remember those and their cans? 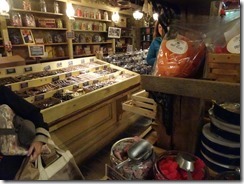 ), all types of snacks and even a few vinegars. They also had a huge selection of Vermont cheeses. Some are branded and a number are private labeled under the store’s own name. The vast majority are cheddars. Among our favorites were the Cabot Hand Cut, Orton Brothers Reserve, Grafton Reserve, Barber’s 1833 and Vermont Store-labeled Extra Sharp Vermont Cheddar and Vault #5 Cage-Aged. 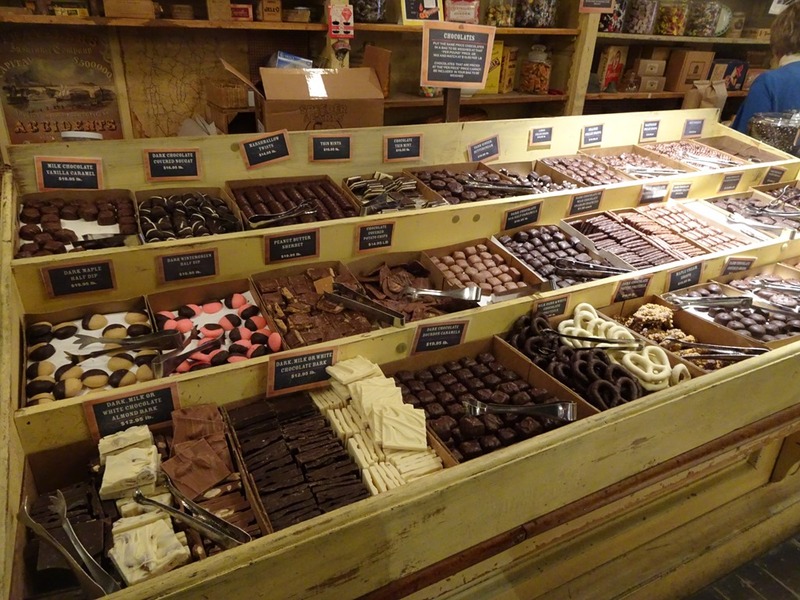 And then there are the half-dozen or more different types of fudge that were offered for tastings. Overall, a very fun, not to speak of very filling experience. Woodcock Farm (Weston Vermont). 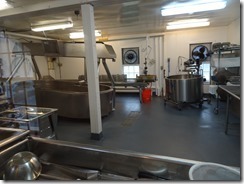 This is one of the few small creameries (about 25,000 pounds per year) creameries that is open for tastings. 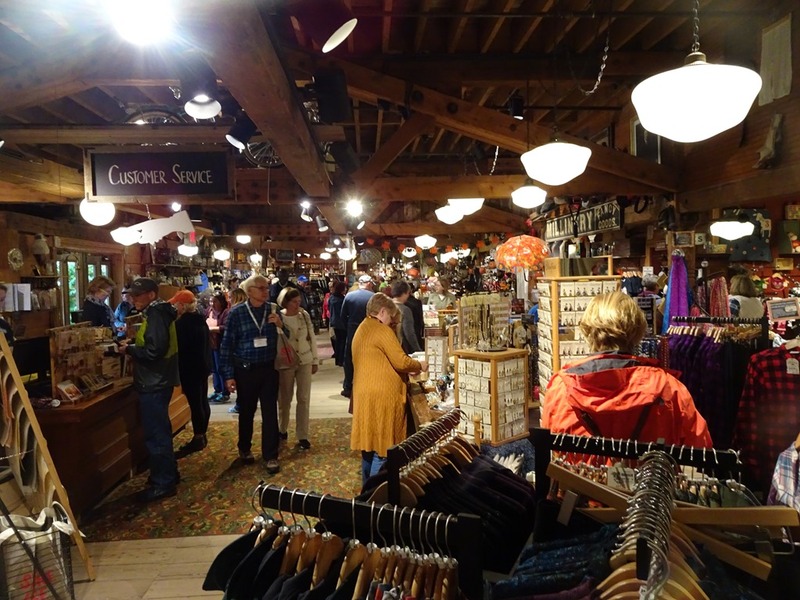 It is a not-to-miss stop that is just a couple miles from the Vermont General Store. 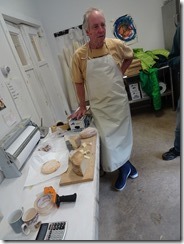 While we really enjoyed the cheeses, the best part of the stop was that the cheesemaker/owner conducted the tasting. 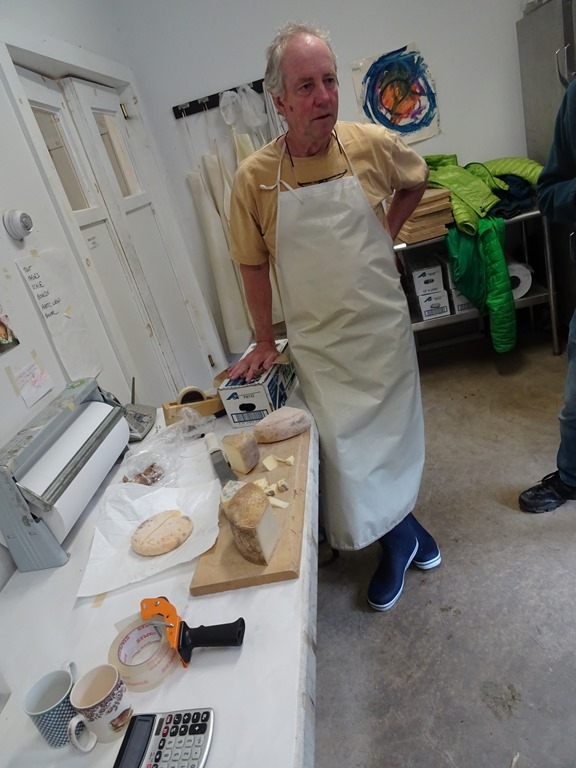 He obviously loves his work and is happy to answer any questions that we had about the cheesemaking process and volunteer information on some issues that we didn’t know enough to ask about. OK, now about the delicious cheese. They dos not attempt to compete with the large producers by making cheddar.Rather, they offer a range of cow- and sheep-milk cheeses. They produce hard cheeses and soft; washed-rind and bloomy-rind; from brie-style to alpine; some raw milk and others pasteurized. We really enjoyed a number of those that we tasted including the Dirty Girl, Cheddar-like washed rind cheese made from Jersey cow milk (which has more butterfat than most other cow’s milk), the Star Line sheep/cow alpine-style cheese and very mild Kinda Blue. Our favorites, however, were the soft, brie-like Humble Pie and a very nice, two year-aged version of Dirty Girl, a cheese that he does not typically age.